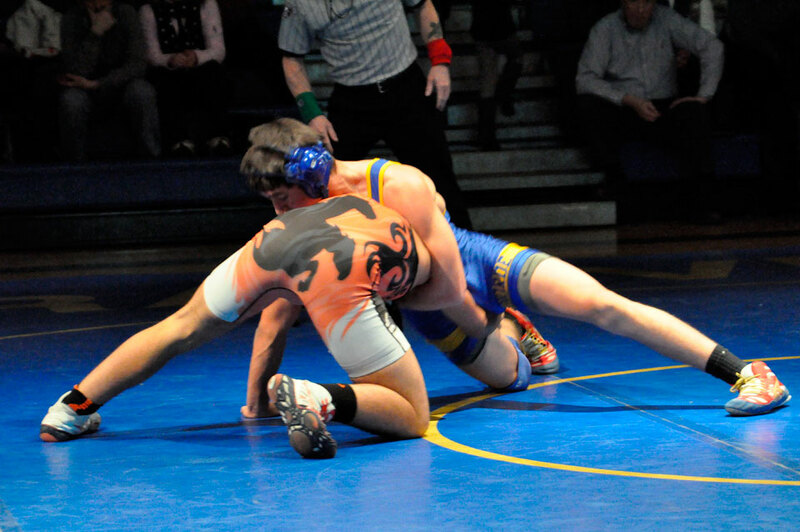 Damian Duffy fought for a 5-3 decision over Victor Castro during a losing, 47-30 match against Schuylerville Thursday night. The Golden Horde won several bouts but lost a number of points due to forfeit. Other than Duffy, several other wrestlers won by decision for Granville, including Bradley Perry at 182, Darren McKittrick at 195 and Daegan Jones at 132. Pinning for the Horde was Jody Hermance, who claimed victory over Christian Capiannino in 1 minute and 24 seconds. Nathaniel Palmer and Dwayne Nadeau snagged a few points for their team by forfeit. The boys take on Cambridge tonight at home at 6 p.m.